Scriptwriters Houston in collaboration with Driven Theater Company will present a series of ten-minute plays selected through a competitive process. The site-specific productions are inspired by and set within the exhibition Walls Turned Sideways: Artists Confront the Justice System and Nicolas Moufarrege: Recognize My Sign. Small audience groups will experience the plays as they move through the exhibitions. Reservations requested, walk-ins are welcome but not guaranteed a seat. Reservations available for the following start times: 6:30PM, 7PM, 7:30PM, and 8PM. The show is a total of 50 minutes. Tickets will be available starting on Monday, November 5, 2018. If you have a reservation you must check-in ten minutes before your start time in order to guarantee your seat. Please note that this program may require standing, walking throughout the galleries and outside the museum, and potentially being in dimly lit spaces. If you have any concerns regarding accessibility please contact fcleveland@camh.org. Scriptwriters Houston seeks to further the cause of and interest in professional script writing and theatre through critiques, educational programs, workshops, seminars, and the production of the works of their members. 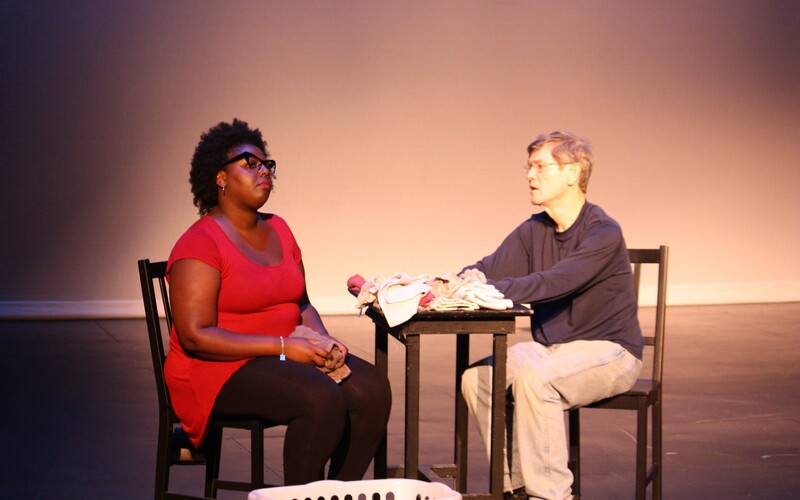 Driven Theater Company is dedicated to empowering, connecting, and entertaining diverse audiences during quality issue-driven theater, and education designed to encourage the healthy development of the individual, the family, and society.